I’d like to thank Sean for asking me to preach on Being Pākehā Now. (He won this prize in our parish auction). I have never called myself a Pākehā, but had never asked myself why not. So this was a challenge for me to investigate something new, and also to investigate my own attitude. After studying it – I was surprised to find how controversial it is, and to discover that Pākehā is not a term I want to use myself … but I can understand why other people do. So I want to look at three examples of New Zealanders who have or haven’t called themselves Pākehā. My first example is Michael King, who wrote a book called “Being Pākehā Now” in 1999. The book has a subtitle – “reflections and recollections of a white native”. And the guts if it is that New Zealanders of European descent have just as much right to live here and have their own culture as Māori do. But he doesn’t say this in opposition to Māori – his main work for many years was trying to understand Māori, their history, their values, their leaders. But he also writes of his own values, as a Catholic, with Irish background, sharing an identification with the land. So this book is an autobiography, featuring events which raised this awareness in himself, and which he passed on to others. He got a BA in history English French and political science, not knowing what kind of job he would be looking for at the end. When he graduated he was interested in two careers, history and journalism and he ended up do major work in both, different times. His first job, in 1968 was journalism, starting with the Waikato Times, and his interest in Māori and Pākehā issues started when was given the Māori round and that involved spending a large part of his weekends attending hui and tangi. He said this made him “immediately aware of his own huge gaps in knowledge of Māori and their language. The proceedings were entirely in Māori and he couldn’t understand a word of it without someone alongside to translate. And the speeches and conversation were sprinkled with references to people and events he didn’t know anything about. He filled in these gaps by buying a tribal history of Tainui, the main iwi in Waikato. He also enrolled in Māori language classes, and he joined the Waikato historical and archaeological societies. At a large tangi he met controversial Māori leader Eva Rickard and two other Māori leaders who took him under their wing. And they introduced him to more Māori leaders including a woman with personal experience dating back to the Waikato war in the 19th century. She was still dressed in 19th century clothing, with a moko and smoking a pipe. He realised the moko was a tradition that was dying out, and set out to interview every woman who had one; seeing 70 of them altogether. In 1971 he reappraised what he was doing. By then he had been promoted to leader writer, and acting news editor. He wrote editorials about Vietnam and sporting contact with South Africa (that few people read). Some of his colleagues criticised him for being too one-sided, which journalists are not supposed to do. And among his radical ideas, he said: He now questioned the ability of New Zealand institutions, based on British and Western models and cultural assumptions to deal fairly with people whose values and lifestyle were not Pākehā. A large part of the rest of his book is about his efforts to tell Māori stories that Pakeha were not aware of. They included a TV series, and a number of books. Some of these Māori were not keen to have their stories written. So a big part of the job was negotiating to get the consent of the people involved. Despite doing this, he later got criticised by other Māori – so there’s a no-win side to his story. He and Guy Salmon made submissions to parliament about a race relations bill, which led to the office of race relations conciliator being set up. They said “we reject both the concepts of assimilation (implying an absorption of minority cultures by the majority one) and integration (implying a combination of values and institutions of one or more cultures.” They said” “WE prefer the concept of multiculturalism, whereby cultures are encouraged to exist alongside one another, retaining their differences and respecting one another. In NZ this means in particular movement between Māori and Pākehā cultures. Among the consequences, he said, was a need to build up the base of minority cultures *especially Māoritanga) and to reduce an overbearing influence on the part of the majority culture. Another turning point in his thinking was when he made his first visit to Britain. He left this till later in his life, because he didn’t feel any particular need for an OE. He visited many places from his own Irish background, but he was surprised that this trip made him more, not less, a New Zealander. He missed the empty land, New Zealand birdsong, the common perspectives with Māori and Pākehā. He was shocked at the direct racial prejudice he met in Britain at times. He resented the way some Europeans ignored him and others patronised him. He said these were people who felt that Europe was the centre of the universe; and what happened in New Zealand was of little consequence. It strengthened his conviction that New Zealanders, for all their faults, had virtues that were precious; an unwillingnesss to be intimidated by the new, opposing the class system, having compassion for the underdog, a sense of responsibility to people in difficulty, and a lesser degree of racial prejudice. But the switch began before this. He said: In 1971, Māori radicals were saying that Pākehā historians had neglected Māori History and ought not to. He himself accepted this argument and set out to redress the balance. But when he wrote two later Māori books, the feeling in some Māori quarters had shifted ground. The argument was no longer that Pākehā historians should take cognisance of Māori history. It was that they should not. They should let Māori tell their own story. One example was Syd Jackson in 1978. He said it was an unforgivable bungle by Waikato Māori that let King write a Māori biography about them. And he got even more criticism when he was hired by Methven to help write 12 chapters about major tribal districts. He did this against his own better judgement. Originally, he suggested that there should be consultation and a Māori scholar should chair it. But no Māori writer or academic was prepared take it on. He was then asked to be editor in a facilitator way; and accepted that role. But several iwi said they should be writing their own history, and Tuhoe wanted nothing to do with it at all if he was editor. There was a similar reaction when he wrote a biography of Whina cooper. Critics said she was more popular among Pākehā than Māori. So he concluded that Māori were taking control of their affairs away from Pākehā gatekeepers. And he decided to stop this kind of writing, but continue to mentor Māori writers. There were other changes over this time. Māori were getting a stronger sense of their identity, and it was being encouraged by the government and others. More urban marae were being bult, and more Kohanga reo, and these were making it more likely that urban Māori would remain Māori, and that Māori would have a continuing role in history and culture. From the late 1980s, the Waitangi tribunal was addressing past injustices against Māori. And a major part of this change was interaction with Māori. His story is long and thorough. But I thought his conclusions were a bit sketchy. 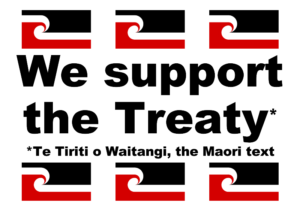 One was that it is important to complete the programme of Waitangi treaty settlements. Apart from that, he says he no longer believe in the inevitability or even the desirability of a bicultural nation. This model served Māori well when there were injustices to right and imbalances to correct. But now he doubted that most Māori, and most Pākehā wanted to define themselves in simple biculturalism. I found his personal story quite inspiring. But although he makes it clear why he identifies as Pākehā…. But he doesn’t make much of a case that others should do the same. In fact he says as much near the start of the book. Which was very honest of him. But it meant he hadn’t really explored the other options. or New Zealanders of European background? Is this task of recognising Māori culture a job just for Europeans; what about the role of Asians, or Pasifika people? He speaks of Pākehā having a long history here and being indigenous; does this mean more recent immigrants don’t count as Pākehā? How long do you have to have been here, and how white do you have to be, to be a Pākehā. It is a Māori term for New Zealanders of European descent. It did not originate as a derogatory term. Some European New Zealanders rejected it because they object to being named in a language other than their own. An Auckland University study in 2013 found that only 12% chose the term Pākehā. 53% preferred to call themselves New Zealanders. 17 preferred to call themselves Kiwi. In the 1986 census, 36,000 people ignored the ethnicities listed, including Pākehā, and wrote New Zealander, or ignored the question completely. 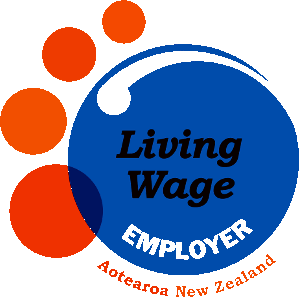 In 1996, the wording was changed to “New Zealand European or Pākehā”, but again there were significant adverse reactions. And so censuses since then (including the one we filled in last week) simply describes these people as “New Zealand European”. But the Wikipedia article also refers to people with views similar to Michael King. It says it is a term used by New Zealanders of European ancestry in distinction to tauiwi (which means foreigner)…. because Pākehā emphasises that they belong to New Zealand, in contrast to more recent arrivals. Michael King makes a good role model for the view he adopts, but I felt I needed to match it briefly with another convincing example, and found it in a collection of Pākehā views, edited by King, called simply “Pākehā”. I read four of the chapters, but the one that provided a strongest lead was by Lesley Max, who was made a dame for her work with disabled children. Although she’s in a book about Pākehā, Lesley Max never mentions that word, but she describes her perspective as having two strands – as a New Zealander and a Jew. And she describes a number of painful challenges that were put to her as a Jew. When she was about six or seven she recalls two of her friends saying: You’re a Roman catholic aren’t you? She didn’t know, but thought there must be something not quite acceptable about it, so she replied yes. Another question was: What are you then, a Jew first or a New Zealander first? You’ve got to realise – New Zealand’s a Pacific country. It’s not attached to Europe any more. Her conclusion after four and a half decades, is she is happy with a certain fragmentation. She doesn’t need to satisfy others’ needs for certainty, or others’ desires to pigeonhole. “Indeed I have a sense of enrichment from this layered, many-faceted identity that is still in the process of evolution. I won’t go into the detail of her experiences, but they include the fact that she was not aware of being Jewish at first; her family were not very active Jews, but as she grew she became aware of the Pesach, the annual Passover festival which celebrates the liberation of the Hebrew ancestors from slavery. How her family also had the sabbath table on Friday night, with candles and songs. And this led to a growing awareness of Jewish people’s background people from Germay, Holland, Czechoslovaka. And she comments “My identity as a New Zealander was modified by my knowledge that German, Dutch, Czech, Austrian and Polish authorities put Jewish German, Dutch, Czech, Austrian and Poliish children onto trains bound for extermination camps. And the reason she herself was born into security was simply that her grandparents had left Latvia decades earlier. She also knew that “good” countries, the allies, barred their doors to all but few Jews. Later she came to know about New Zealand’s policy, according to which only the most assimilated Jews had any chance of entry, under a wretchedly small quota. So the question was always there, though never verbalised. no matter how fervently I might sing God defend new Zealand would New Zealand, if the chips were down, defend me? She says here in Auckland there have been serious and calculated threats that she cannot reveal but that have been thoroughly validated, made simply on the basis that the objects of them are Jewish. And she recalls a meeting in Auckland in 1981 when the police were being briefed on racism in advance of the springbok tour. She took part in this, and most of the police just at quietly, but some got stuck in and said: “you people. You get into this country. Your claw your way up …. whaddya want to be different for. Why can’t you just be new Zealanders like anyone else. Are you a New Zealander first or a Jew first. Her answer is she doesn’t need to rank her loves or loyalties. No one demands who do you love better: your parents or your children, your husband or your parents. It’s only in totalitarian regimes that one answer is required. She doesn’t want to be told she must cut her ties with Europe. She doesn’t want to be worried about keeping to a quota of New Zealand colonial icons… After all, how many songs about Canterbury sheep rustlers must we listen to. But she can identify with Māori who mourn the loss of their storytellers who keep their knowledge alive, after their country was swamped by newcomers. And she too is losing precious contact with a world that was deliberately, brutally destroyed. The most wounding assault on Jewish identity in this country, she said, is the New Anglican prayer book in 1990…. It was cleansed of all references to Jewish people, and all references to Zion and Israel. Most Anglicans, she says, will now never read: By the waters of Babylon we sat down. we wept when we remembered Zion. She concludes: identity is much more than a matter of ethnicity or nationality. It’s also a matter of world view, and she says the world view of the Jews ideological partners in Russia and Germany were liberal social democrats …. with a regard for human rights, for social justice and harmony,, for the equality in the law of prince and pauper, the need to protect the vulnerable (the foreigner, the widow, the orphan, the day labourer, that was so clearly articulated by the jewish prophets. No wonder we felt so comfortable in new Zealand, the world’s first welfare state. A very thoughtful viewpoint, but no mention of the word Pākehā, Lesley Max sees herself as Jewish New Zealander. I don’t think it is hostile to the perspective of Michael King, but it is a very different emphasis. In particular, she does not want to cut her ties with Europe, she wants to strengthen them. My own viewpoint is very similar to that of Lesley Max. Similar enough that I went to the same school, at the same time as her sister who was in my class, though I didn’t know she was Jewish at that time. The things I love about New Zealand include that same beach, the same profession as Michael King. My grandparents came from England and Ireland, and valued the same classless society that many of our pioneers felt. I took pride in coming from a country which was first to give women the vote, first to set up a welfare state, and we had an exaggerated belief that New Zealand had the best race relations in the world. But I did not share the feeling that we had cut ourselves off from Europe. My grandmother on my mother’s side still looked on England as home. I myself identified with many Europeans Bach, Mozart, Shakespeare, Isaac Newton, and the democracy which we learned from Britain, but which we modified; we didn’t want a house of Lords. Unlike Michael King, when I made two trips to England in the last nine years, it didj’t make me feel more Pākehā; it made me feel more European. When I majored in Philosophy from 1959 onward, I took pride in the fact that I came first in New Zealand in papers that were marked in Cambridge, because there were not enough philosophy students in New Zealand to maintain a high standard. So I visited Cambridge because it was part of my personal history. My wife and I visited her family who still mostly live in England, and who are still my Facebook friends. I especially liked the fact that when we went to Verona, they were showing a Shakespear play, Romeo and Juliet, set in Verona, and when we got home, Mozart’s Magic flute was being played in Auckland. I identified with all of Europe when they started the European Community, and I was proud of the way these former enemies were reconciled; and disappointed with them when Britain decided to withdraw. I too was annoyed with New Zealanders who tried to make us totally New Zealand oriented, such as wanting us to sings songs about New Zealand all the time. I’m glad we have hymns from England, Germany, France and America as well. To make your culture too narrow is to impoverish it. My religion didn’t come from New Zealand, nor even from Europe except as a half-way house, but from Palestine. The only magazine I subscribe to is Scientific American; New Zealand scientists have made us proud, but to limit our science to them would be ridiculous. Marion’s favourite magazine is “This England”, all about the Royal Family, and she only took up New Zealand citizenship last year, after living here since 1951. When I was a child I missed the fact that science was not taught in my primary school, so I made up for it using the school library. Māori hardly crossed my radar. There was a Māori family in our neighbourhood, and one of them was in my class at school, but no issue was made of that, for good or bad. I remember being horrified when one of my classmates made up a very racist song about them . Michael King talks of Pākehā culture including rugby, the RSA, and beer. I didn’t identify with any of those. I was hopeless at rugby because I was so small, but our school had no other winter sport. Methodists didn’t drink. My parents were pacifists, and were strongly opposed to the RSA. That doesn’t mean we were not proud New Zealanders … but there were aspects of New Zealand culture we wanted to dissent from. And now I’m working for secular education in New Zealand, it is hard work because our society gives so many legal favours to religion in general, and Christianity in particular. But with it, I respect the fact that other people will make different selections. But to quote Lexley Max again … I don’t need to rank my loves or my loyalties. So in my census form I ticked New Zealand European. That matches two of my strongest identifies, even though they don’t always sing th same tune. And in the religions question I wrote Unitarian, atheist. And that creates conflicts of loyalty as well … but these conflicts have a creative side. I have not mentioned Māori …. I have always been aware that Māori were badly treated up to about 1980… I only realised about then how many Māori still feel they don’t belong. And I regad it as part of my role as a citizen to work to rectify these forms of harm, that continue still. But even here, my emphasis is different from Michael King. He says Pākehā have a right to be indigenous New Zealanders because they too have had a long role in New Zealand since the treaty of Waitangi. I would put that differently .. Māori are the only people who can be called indigenous …. but that alone does not give them special rights. What is special about new Indigenous people also have special rights in Australia, South Africa and America to name three. But only in New Zealand did the indigenous people and the colonists make a treaty. The spirit of this treaty was lost in the succeeding wave of immigration, land theft, culture suppression and war. But the fact that it was made is very positive. It means we can repair the damage on the basis of historical good will, and should. But that is a task for all New Zealanders, not just Europeans who have lived here the second-longest.